Hacker group Anonymous continued an assault on government contractors Monday as it released 90,0000 military email addresses, passwords and some other data from military contractor Booz Allen Hamilton. The group released a 190MB torrent, which eWEEK said includes "login information of personnel from US CENTCOM, SOCOM, the Marine Corps, Air Force facilities, Department of Homeland Security, Department of State and other private sector contractors." Anonymous, which got a little clever with its seafaring references, said it was shocked at the lack of security on one of the company's servers. "So in this line of work you'd expect them to sail the seven proxseas with a state- of-the-art battleship, right? Well you may be as surprised as we were when we found their vessel being a puny wooden barge," the group said on The Pirate Bay. The group said it ran into basically "no security" on one of the company's servers and were able to lift the data, delete four gigabytes of source code and found information on other systems to attack. It was the group's second attack on government contractors within a week. On July 8, the group claimed to have "laid nuclear waste" to IT contractor IRC Federal by defacing the company's website (Ars Technica has a good report on how it was done); "dropping" its databases and private emails and "owning their pathetic windows box." 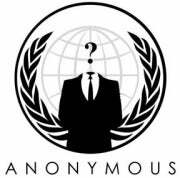 Although the actions are extreme, Anonymous has been called a group of hackers with a cause. That is, instead of breaking into systems for financial gain, they go after targets to make a point. Recently, the group defaced Arizona Police websites and released data to protest the state's tough immigration laws. In June the group went after Turkish government websites to protest a new internet user filtering scheme. It has also announced plans to promote an affiliated political party for people who have similar goals.